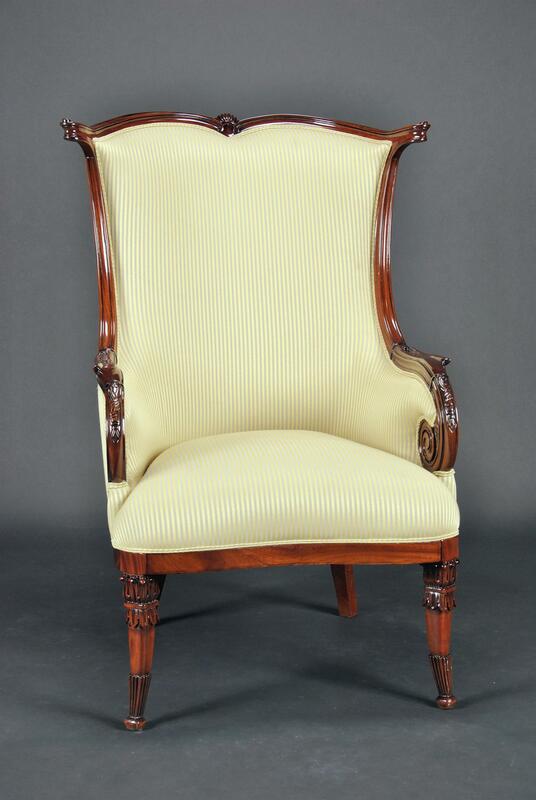 Description: Superb quality American style fire side chair. 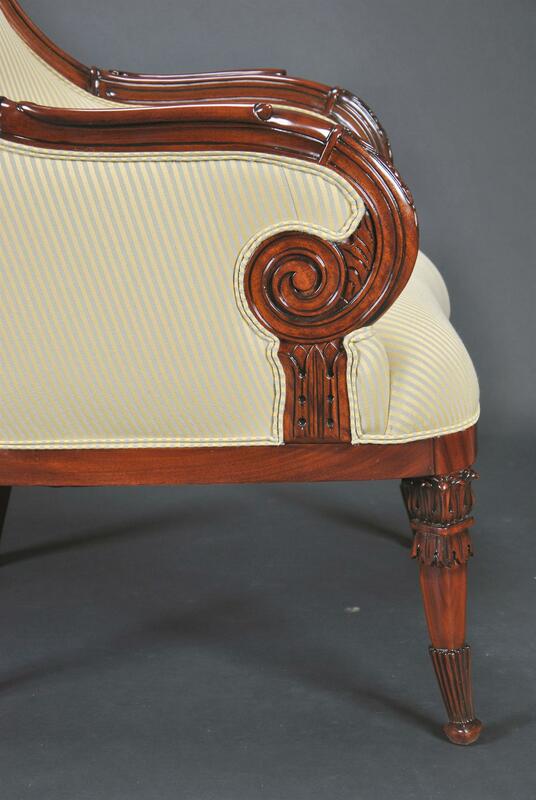 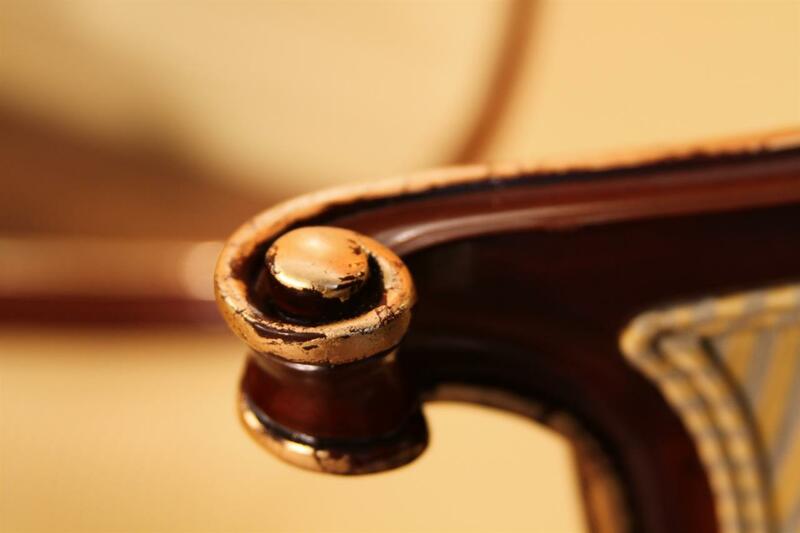 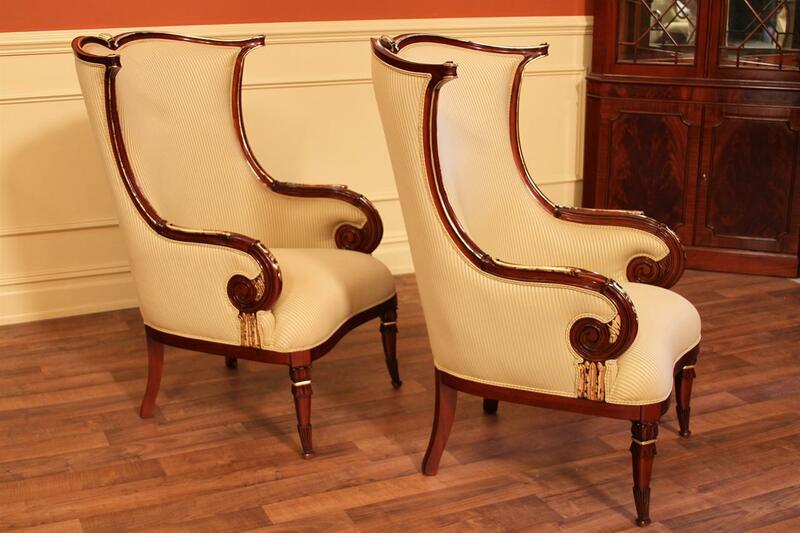 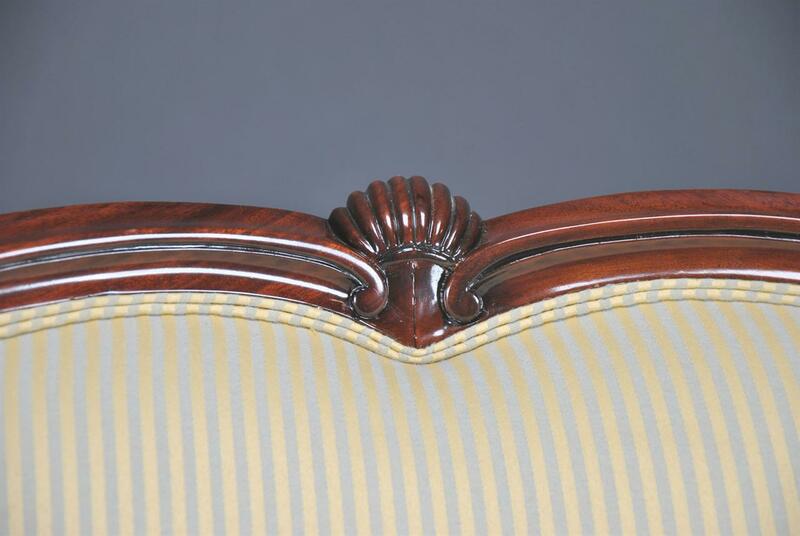 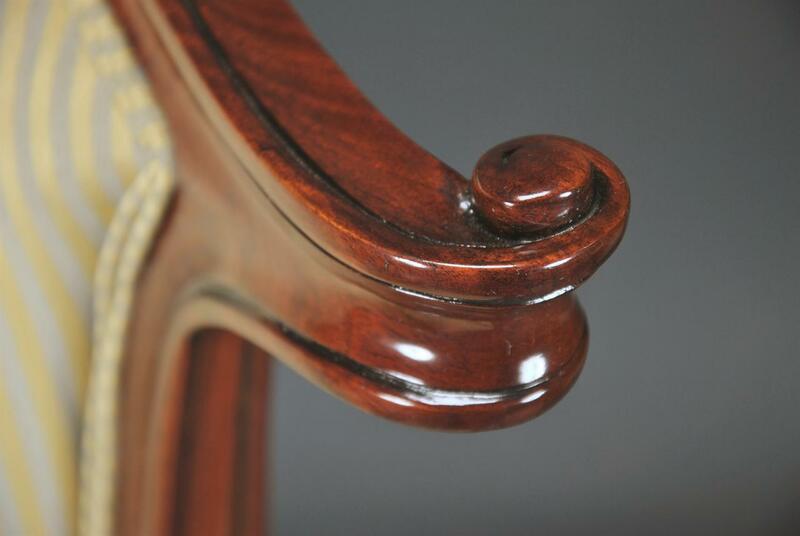 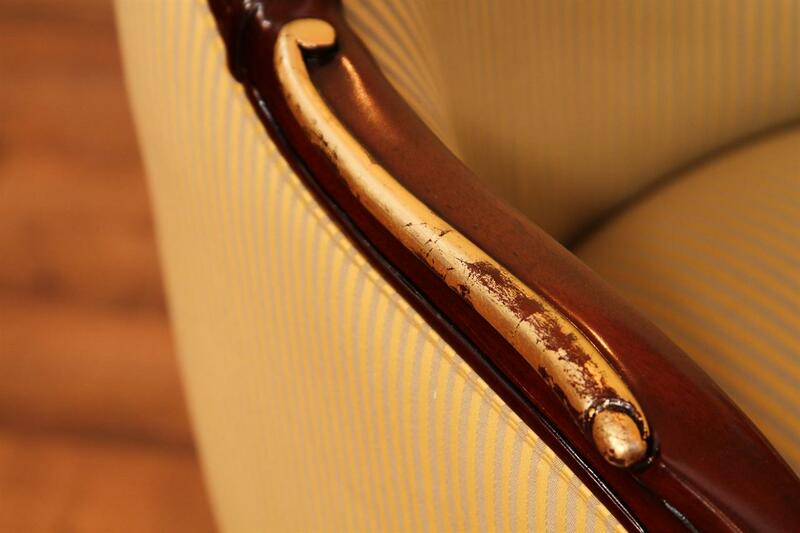 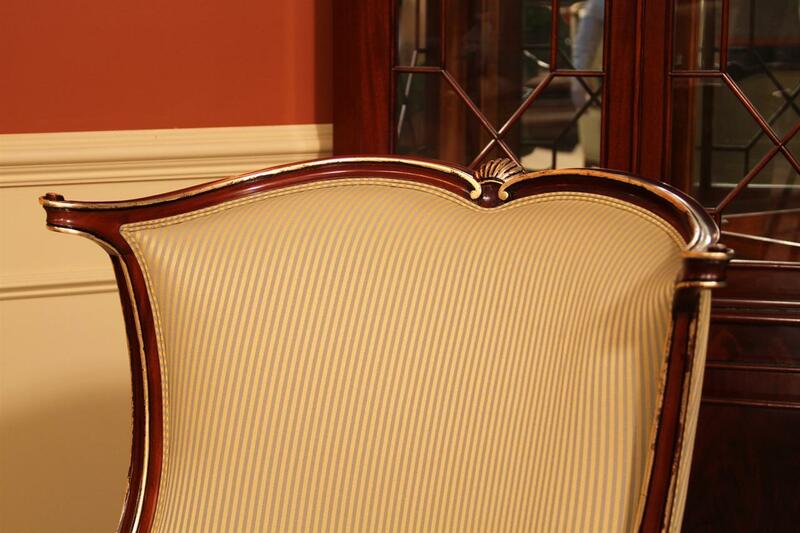 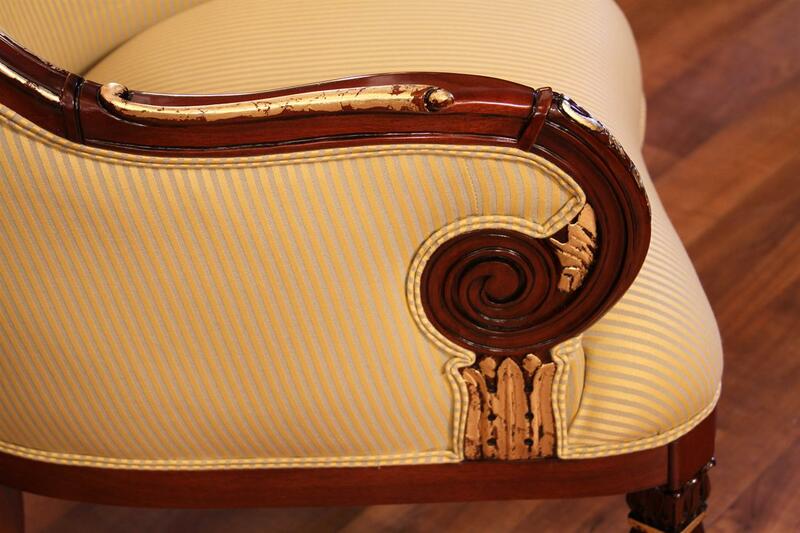 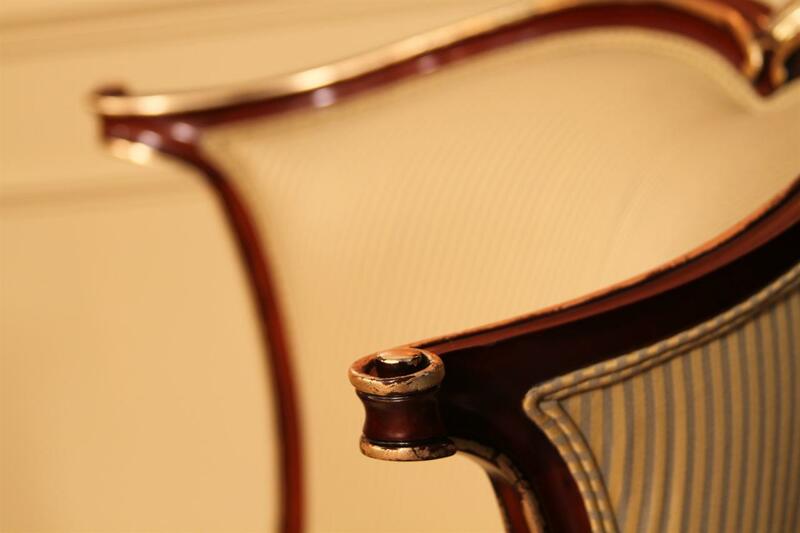 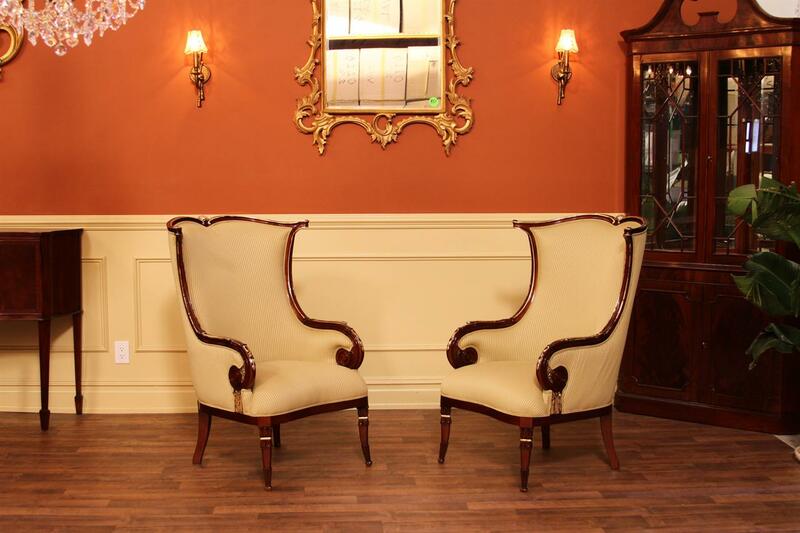 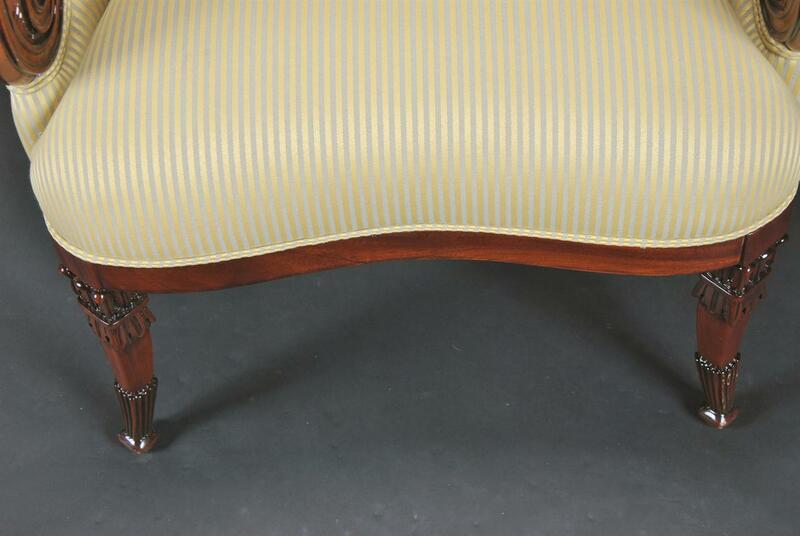 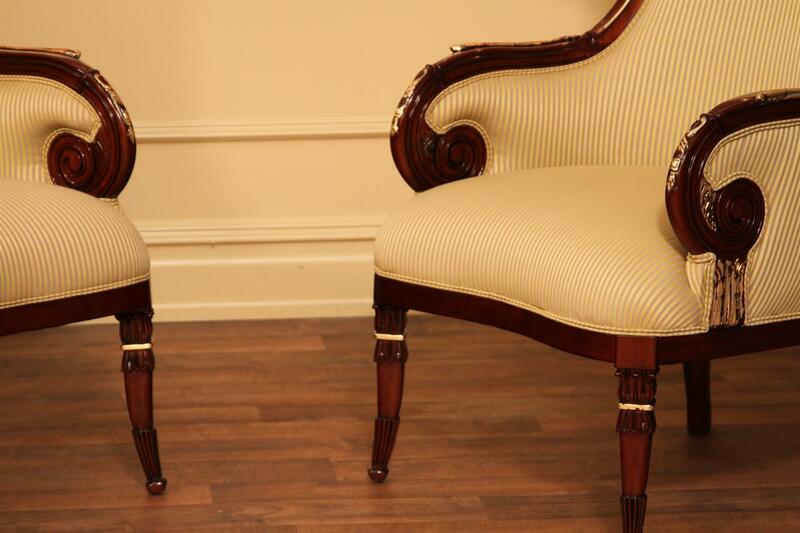 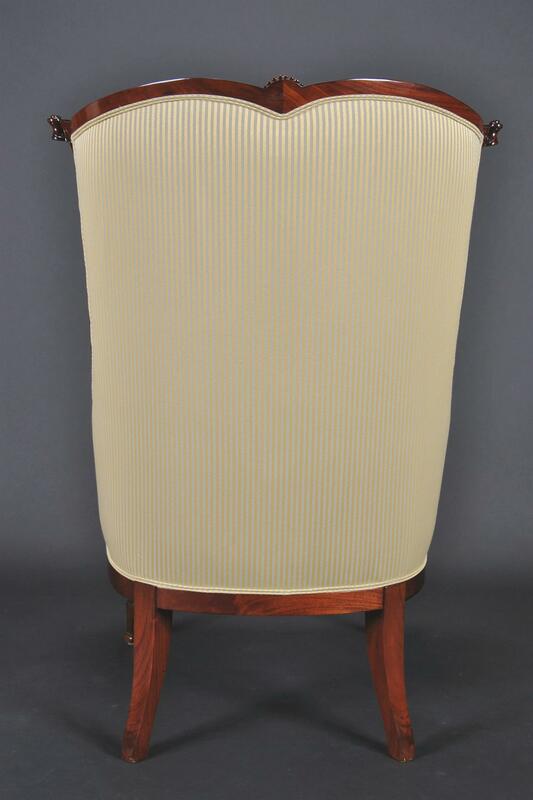 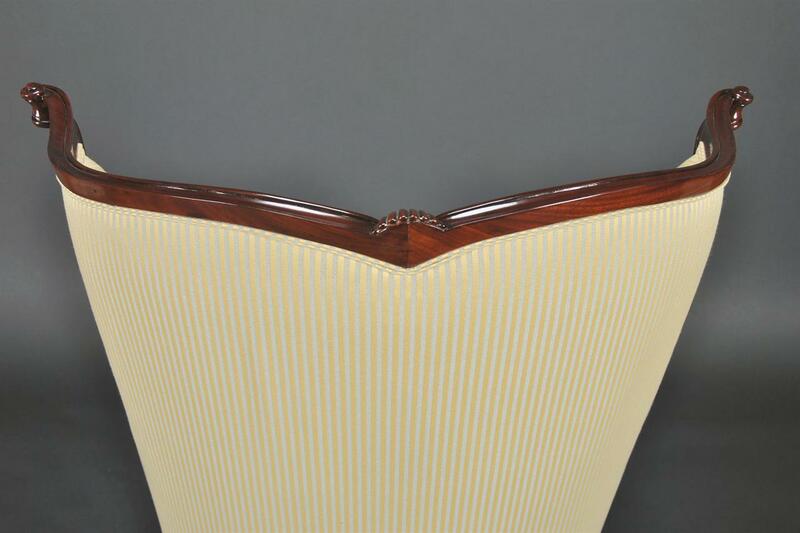 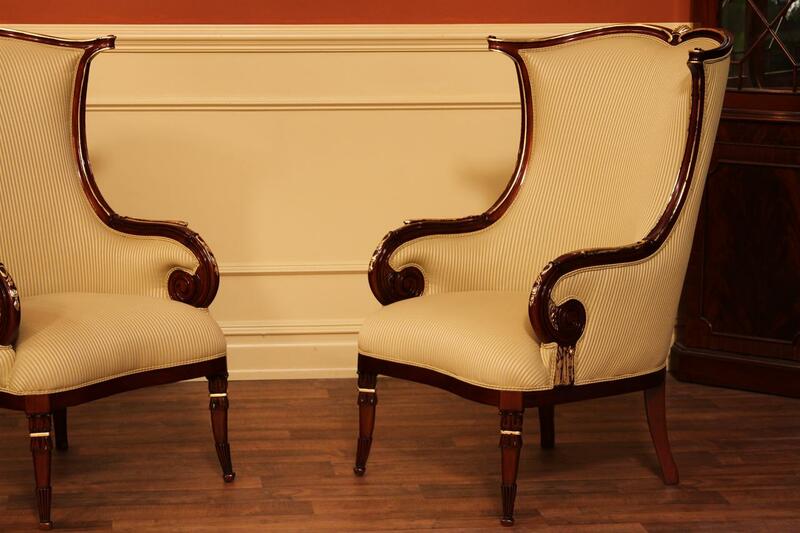 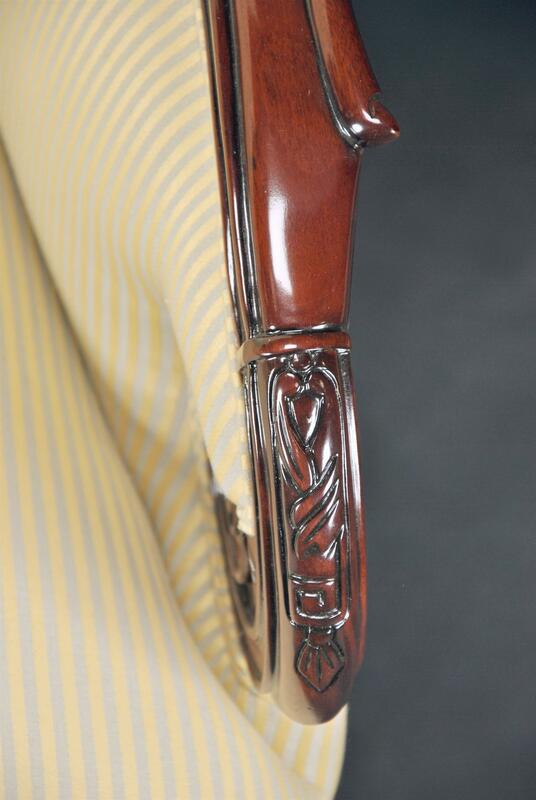 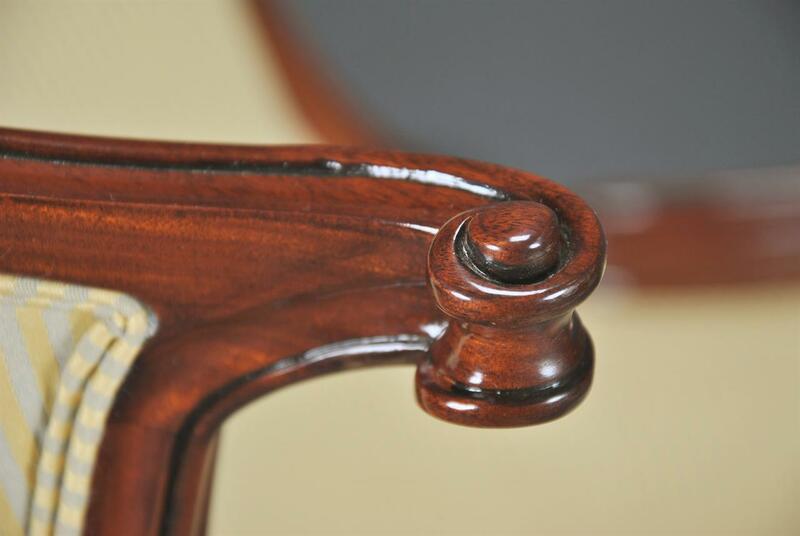 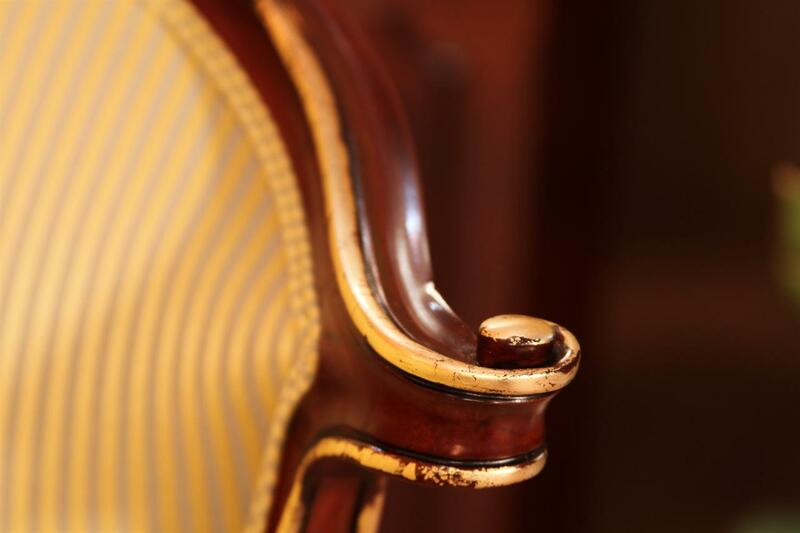 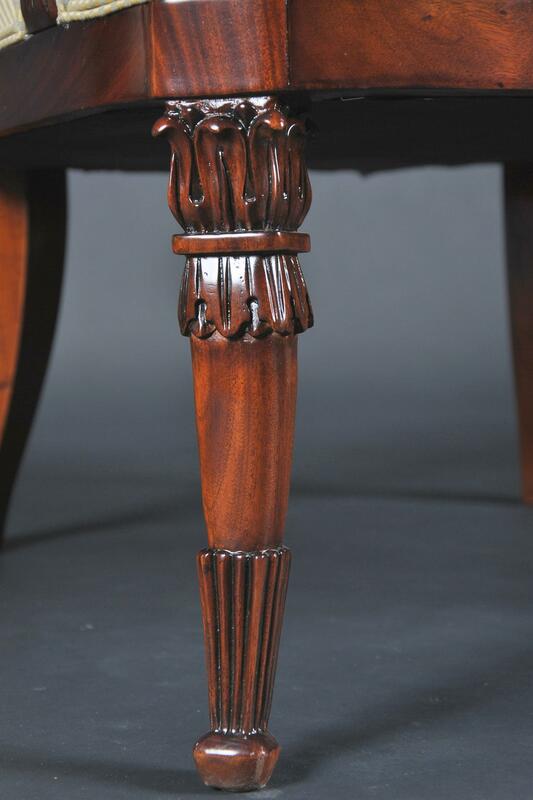 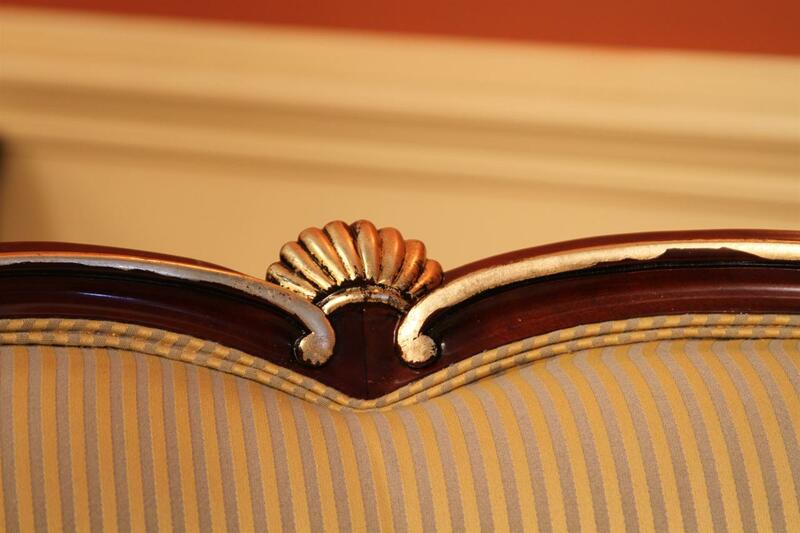 Solid mahogany frame with springs and webbed upholstery. 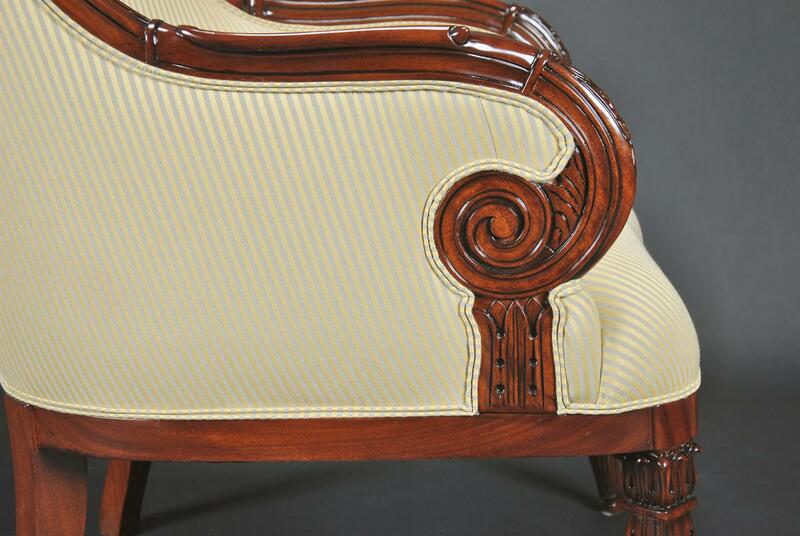 Wonderful for a living room setting, also compliments todays larger size bedroom settings. 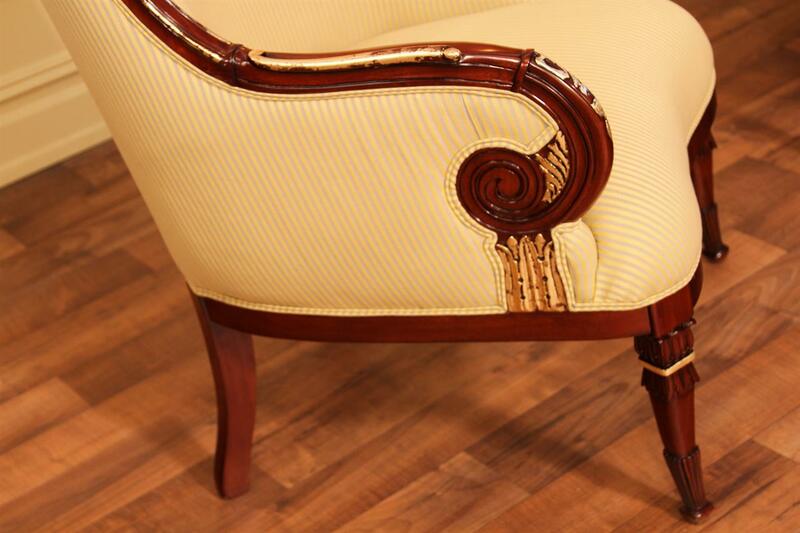 Neutral upholstery matches most interiors.